A staple for autumn and guaranteed to warm you up on the coldest of days, whether it is eaten as a snack or a meal, I think soup is a vital food for the colder season. 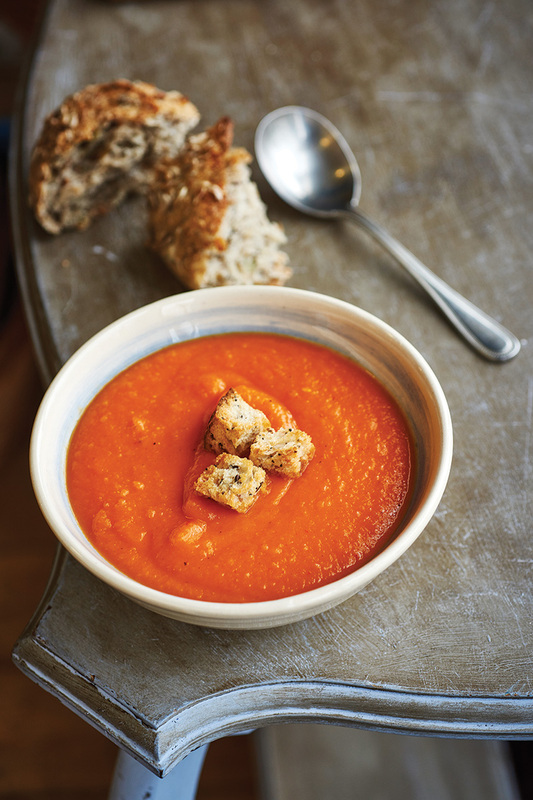 Country Kitchen’s Thai Roasted Red Pepper and Sweet Potato Soup from the Cambridge Cookbook is a perfect mix of comfort and flavour. The ginger and chilli adds a kick, perfect for when the days are getting colder. Heat the oil, add the onions and sweat until soft. Add all the other vegetables, the chilli and ginger, and then pour in the stock and coconut milk. Bring to the boil and then simmer until all the vegetables are soft. Blend with a hand blender until smooth. Add salt and black pepper to your taste. Ladle the hot soup into bowls, top with croutons and a drizzle of oil. For a lower-carb version of this recipe, use butternut squash instead of sweet potato.